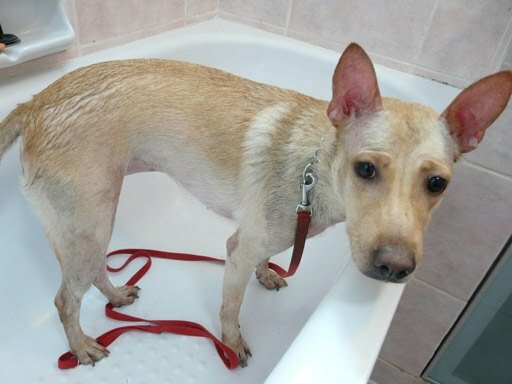 This was Cookie after rubbing herself in a mud hole in Pasir Ris Park. It was quite challenging walking her back after that, trying to keep my clothes free from her mud, and ignoring passerby who might be wondering how on earth the owner let this dog to have mud all over the body. But I think Cookie enjoyed herself in the mud, tremendously. She may have the ogre gene in her.